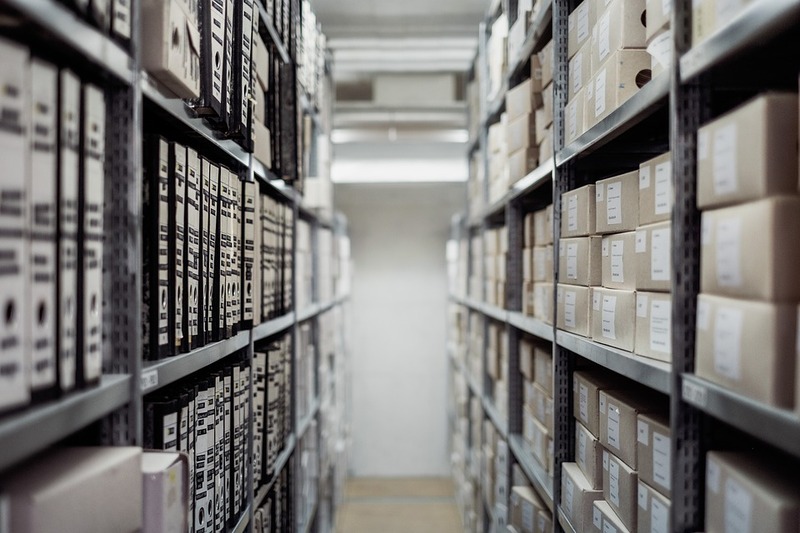 Project Archive List - Business / Industrial - Horton, Harley & Carter, Inc. Eight Buildings totaling 1,443,780 SF, ranging from 24’-30’ clear. Concrete tilt wall structure with dock high rear loads and grade level entries. HHC assisted in the master planning of the 380-acre office and industrial park. The first phase consists of 2,694,220 square feet of office, office flex and build-to-suit projects. The second phase is also slated to have 2 million square feet of space. Building One is a 91,200 square foot rear load dock high building with grade level entries. Building Two is 401,800 square foot cross dock. HHC also designed the park wide signage program. Two speculative office/warehouse buildings totaling 203,326 SF, 24’ clear. Concrete tilt wall structure with dock high rear loads and grade level entries. Five speculative office/warehouse buildings totaling 525,800 SF 24’ -30’ clear front and rear loads. Concrete tilt wall structures. Two buildings totaling 769,500 SF of speculative office/warehouse cross-dock. Concrete tilt wall structures with 36’-0” clear metal building roof structure. One building 296,000 sf 28’ clear front load tilt wall with metal building roof structure. One speculative office/warehouse 406,400 SF crossdock, 30’ clear concrete tilt wall structure. 265,500 SF warehouse including 15,000 SF office. 50,000 warehouse and 5400 SF office. 225,050 SF build to suit rear load 30’ clear includes 16,500 SF office. 164,870 SF build to suit rear load 24’ clear includes 6400 SF office and 70,000 spec space. Build to Suit for FedEx distribution center 60,819 SF includes 7,030 SF office. 15,000 SF metal building vehicle maintenance facility; plus renovations and addition to existing office. Tenant improvements for 259,000 SF crossdock warehouse and 10,000 SF office. Build to suit122,110 SF metal building 39’ Eve, 5000SF office. Tenant improvements for 296,000 SF box manufacturing and office. 108,000 total SF speculative office/warehouses with detailed reveal patterns and continuous storefront. The buildings are tightly integrated with protected oak trees and a retention water feature to create a naturalistic image on Sligh Avenue. 46,933 SF speculative office/warehouse with at grade office entries and rear-load, dock- high loading in a 20’ clear, tilt-up concrete structure. 46,180 SF speculative office/warehouse with at grade office entries and rear-load, dock- high loading in a 26’ clear, tilt-up concrete structure. Major Renovation/Conversion of an existing pre-engineered warehouse for Anhueser- Busch beer distributor including a 35,000 SF Controlled Environment Warehouse , a 5,000 SF Draft Cooler and a 2,000 SF custom finish “Hospitality Room”. 105,000 SF Design/Build corrugated box manufacturing plant including 5,000 SF of office; the building is a combination of tilt-up concrete with a pre-engineered roof system. 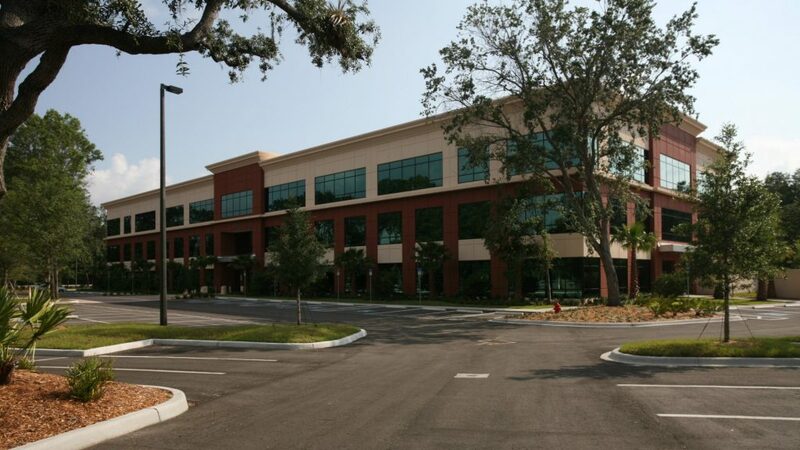 Center of Commerce Building 907, Trammell Crow Company/Principal Financial Group Orlando, Florida. 137,540 SF speculative, front-load, dock office warehouse with Architectural office pods in a 25’ clear, tilt-up concrete building. Center of Commerce Building 910, Trammell Crow Company/Principal Financial Group Orlando, Florida. 60,000 SF speculative, rear-load, dock office warehouse with at-grade Architectural office pods in an 18’ clear, tilt-up concrete building. Center of Commerce Building 911; Trammell Crow Co./Principal Financial Group, Orlando, Florida. A 59,080 SF speculative, rear load, dock high office warehouse with at grade architectural entries in a 20’ clear, tilt-up concrete building. Center of Commerce Building 915; Trammell Crow Co./Principal Financial Group, Orlando, Florida. A 187,533 SF speculative, front load, dock high office warehouse with at grade architectural office pods in a 24’ clear, concrete tilt-up building. Center of Commerce Building 917; Trammel Crow Co./Principal Financial Group, Orlando, Florida. A 75,000 SF speculative, front load, dock high office warehouse with at grade architectural office pods in a 24’ clear, concrete tilt-up building. 90,720 SF of speculative office/warehouse with at-grade office entries and generic office build-out in a dock-high, tilt-up concrete building. Crown Park at Miami Lakes, Building A; Babcock-Bell Development, Miami, Florida. A 48,080 SF speculative, rear load, grade high office warehouse with architectural offset panels at office entries in a 24’ clear concrete tilt-up building. Crown Park at Benjamin Road, Building A; Babcock-Bell Development, Tampa, Florida. A 73,253 SF speculative, rear load, dock high office warehouse with architectural off-set panels at grade high office entries in a 24’ clear concrete tilt-up building. Denver Business Center Building 7, Security Capital Industrial Trust, Denver, Colorado. 92,311 SF speculative front-load, dock-high, 24’ clear, tilt up office warehouse with boxcar rail off-loading. 97,400 SF multi-tenant office warehouse with at–grade office entries within a 24’ clear dock-high, tilt-up concrete building. 82,000 SF front-load spec warehouse with two office entries; 24’ clear dock-high, tilt-up concrete building. 107,659 SF prototype facility including 9,037 SF of office area in a tilt-up concrete building located in International Corporate Park. 70,000 SF build-to-suit for final assembly of hydraulic parts kits; project included 22,000 SF 2-story offices and distribution. The Home Depot Lumber Distribution Warehouse Prototype, The R.E. Perry Company/The Home Depot. 90,000-96,000 SF build-to-suit prototype building and specs for a developer based build- to-suit facility including flat car and boxcar rail off-loading, dock-high and grade high truck loading, a 7,200 SF outside loading canopy, drive-thru capability, 2,400 SF of office, large outside storage areas and warehouse expansion. The Home Depot Lumber Distribution Warehouse at Denver Business Center, Security Capital Industrial Trust, Denver, Colorado. 107,000 SF build-to-suit including flat car and boxcar rail off-loading, dock-high and grade high truck loading, an 8,000 SF outside loading canopy, drive-thru capability, 2,400 SF of office, and warehouse expansion. 248,798 SF speculative, rear-load dock-high warehouse with Architectural at-grade office entries utilizing “stand-off” panels in a 24’ clear, dock-high, tilt-up concrete building. 100,800 SF speculative, rear-load dock-high warehouse with Architectural at-grade office entries utilizing “stand-off” panels in a 24’ clear, dock-high, tilt-up concrete building. Twin 147,581 SF speculative, rear load, dock high warehouse with architectural at-grade office entries utilizing “stand off” panels in a 24’ clear concrete tilt-up building. 55,757 SF parts warehouse with 2,000 SF of office space in a tilt-up concrete building located in International Corporate Park. Design of 619,000 SF, 10 building speculative Industrial/Office Park in Southeast Tampa Market. Product mix includes “at grade” flex and rear load, dock high, 24’ clear buildings. Mix also includes stand alone, single user value office/service buildings with dock high loading for sale or lease. Designs intended for high value and incorporate recessed entries, ability to add glazing and drive in access where possible. Twin speculative private 160,000 SF rear-load, dock-high office warehouse built 24’ clear with load-bearing tilt-up concrete walls and utilizing recessed glass and fabric canopies. Master planning for 700,000 SF and construction documents for 200,000 SF of speculative office/warehouse in a dock-high, tilt-up concrete buildings. 203,147 SF of speculative office/warehouse, dock-high, tilt-up concrete buildings. 128,000 SF speculative, cross-dock warehouse with Architectural office pods at each corner in a 24’ clear, dock-high, tilt-up concrete building. 70,000 SF speculative, rear-load dock-high warehouse with Architectural at-grade office pods in a 24’ clear, dock-high, tilt-up concrete building. 126,600 SF speculative, rear-load dock-high warehouse with Architectural at-grade office pods in a 24’ clear, dock-high, tilt-up concrete building. 154,750 SF speculative, cross-dock warehouse with Architectural office pods at each corner in a 26’ clear, dock-high, tilt-up concrete building. 103,000 SF speculative, front-load dock-high warehouse with Architectural office pods in a 24’ clear, dock-high, tilt-up concrete building. 17,190 SF Expansion/37,350 SF speculative, split-face block, office warehouse. (2) buildings, each approx. 40,200 SF SF, speculative, tilt-wall, at-grade office/service center. The buildings are designed to accommodate 100% office use, or mixed use with rear drive-in doors. They share a common service area for parking or truck access. 56,540 SF expanded plastic injection molding manufacturing build out including numerous process systems and related infrastructure and office improvements. 52,000 SF 2-story, tilt-up office/high tech manufacturing build-to-suit including two clean rooms, and numerous equipment and process systems. Design of a 1.2 million SF, 12 building, speculative industrial/office park in South Orlando. Includes 404,000 SF in build to suit distribution facility for United Stationers. Product mix included both “at grade” flex buildings, rear load dock high, and flow-through configurations. Designs incorporate accommodations for enhanced lobby build outs, suns shade and canopy features and unified park wide signage approach, clear heights range from 18’ in flex buildings to 32’ for large distribution facilities. Design of a 502,000 SF, 6 Building speculative Industrial/Office Park along I-75 corridor in Fort Myers, Florida. Park consists of Class A dock high, rear load buildings. Design intended to capitalize on high visibility from Interstate and features enhanced entry elements, extensive use of high head height, impact resistant glazing and drive in capability. Buildings meet criteria for impact, wind and water resistance for coastal, 130mph wind zone. Six buildings totaling approximately 1,055,000 SF of speculative, rear-load dock-high office / warehouse tilt-up concrete buildings ranging from 151k SF to 270k SF. Each building has at-grade Architectural office entries utilizing “stand-off” panel design in a 24’ to 30′ clear. 882,000 SF build-to-suit cross-dock furniture distribution center; utilizing various dock heights, tilt-up concrete, 26’clear, with multiple office and support build-outs within. 141,986 SF speculative, cross-dock warehouse with Architectural office pods at each corner in a 26’ clear, dock-high, tilt-up concrete building. 79,400 SF speculative, front-load dock-high warehouse with Architectural office pods in a 24’ clear, dock-high, tilt-up concrete building. 61,986 SF speculative, rear-load dock-high warehouse with at-grade Architectural office pods in a 24’ clear, dock-high, tilt-up concrete building. 32,000 SF tilt-up office build-to-suit with brick accents/detailing, 16’ clear, with a monumental architectural entry canopy. 89,000 SF speculative “U-shaped” office/warehouse with continuous at grade entry architectural detailing, 16’ clear, tilt up construction with 4’ and 2’dock high loading. Major Design/Build expansion for a regional food distribution company that includes 4,000 SF of two-story office space, 14,000 SF of 28 degree F cooler, and 58,000 SF of 37’ clear dry warehouse as well as renovating 24,000 of existing office space and 6,000 SF of warehouse operations offices. 64,000 SF build-to-suit including 5,000 SF of custom office space highlighting the design possibilities with USG products. The building is tilt-up concrete construction with rail service, dock-high loading and a free standing 5,000 SF covered at- grade loading area. 121,385 SF speculative office/warehouse with at grade office entries and front-load, dock- high loading in a 30’ clear, tilt-up concrete structure. 30,429 SF office/warehouse build-to-suit with at grade office entries, 2-story, front-load, dock-high loading in a 24’ clear, tilt-up concrete structure utilizing a precast “double T” roof structure.